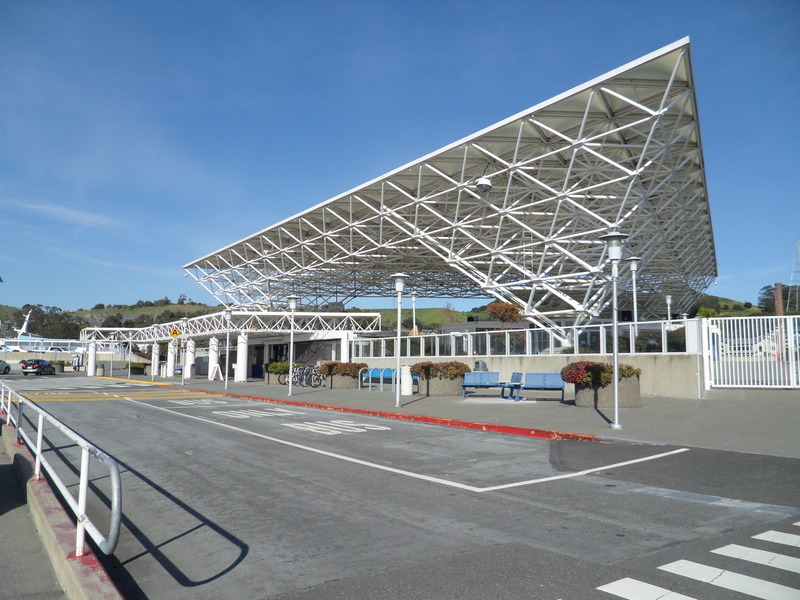 Connecting to the Larkspur Ferry Terminal is one of the easiest ways to return to San Francisco from a ride in Marin County. 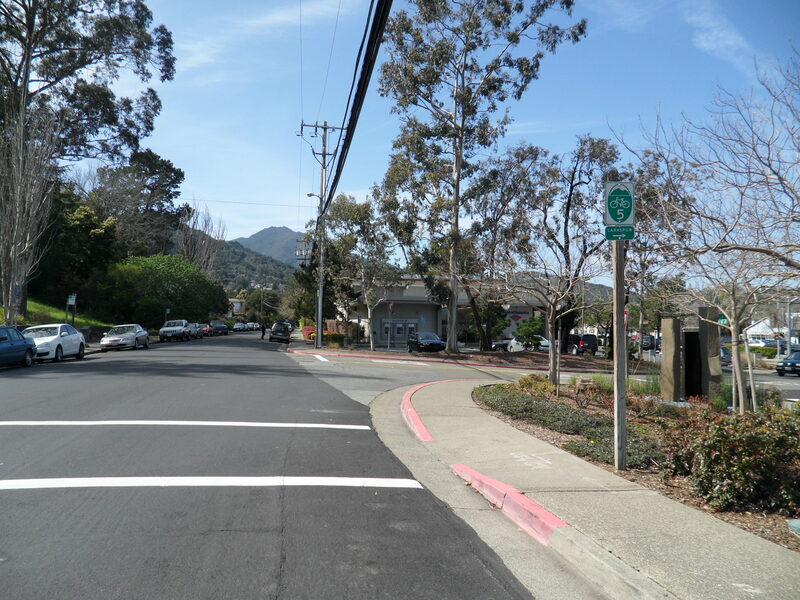 The route takes you from the end of the Marin Crossroads, through one of our favorite short descents we call “The Chase Scene,” through the town of Larkspur and back along another multi-use path to the Larkspur Ferry Terminal. 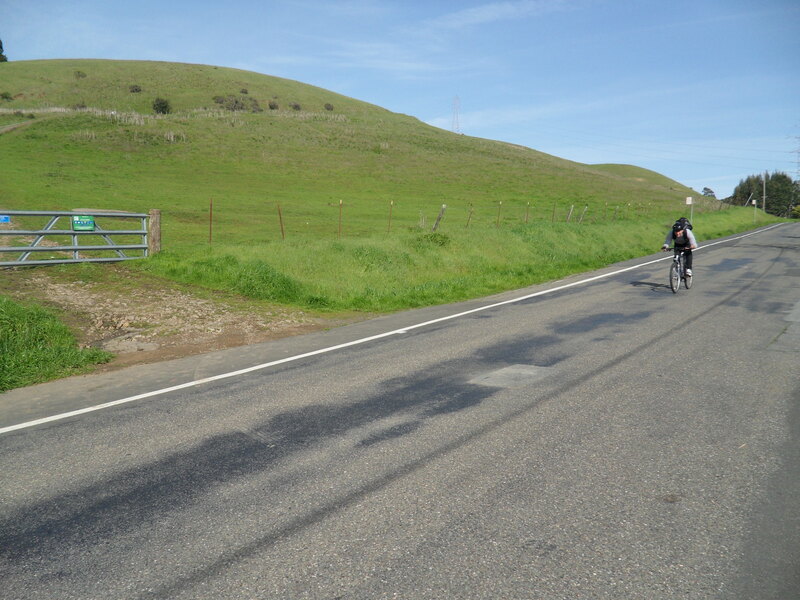 Difficulty: It’s not about the road, it’s about the destination. 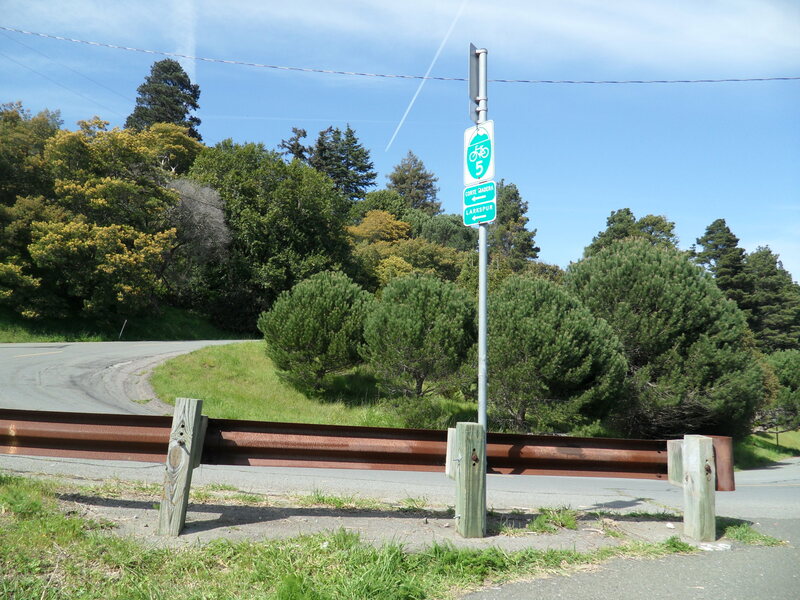 With a mix of on-road riding and multi-use paths, this rolling eight miles runs from the end of the Marin Crossroads to the Larkspur Ferry Terminal and is a short, but fun adventure. 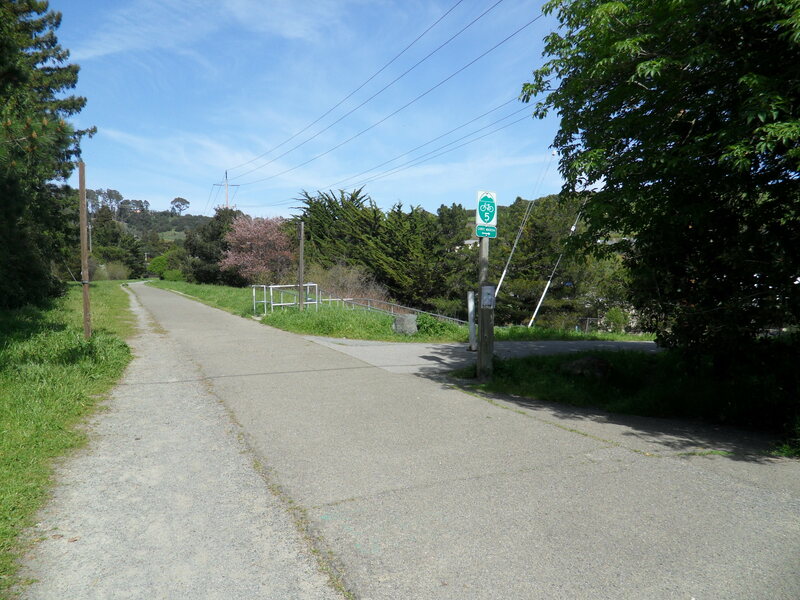 The path to the Larkspur Ferry Terminal begins at the end of the Marin Crossroads. 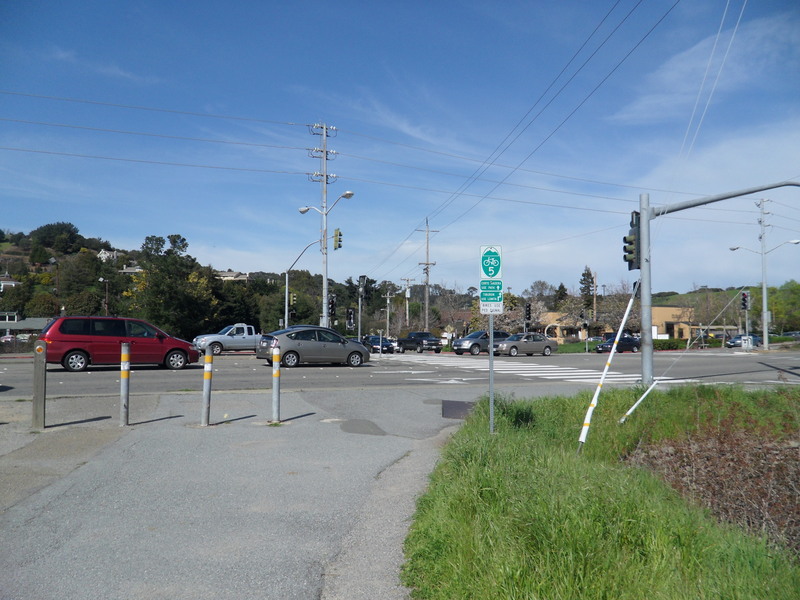 At the light, cross East Blithedale Ave. and continue down the path along Route 5 until you reach the the first paved intersection, and make a right and continue to follow Route 5 down the path. 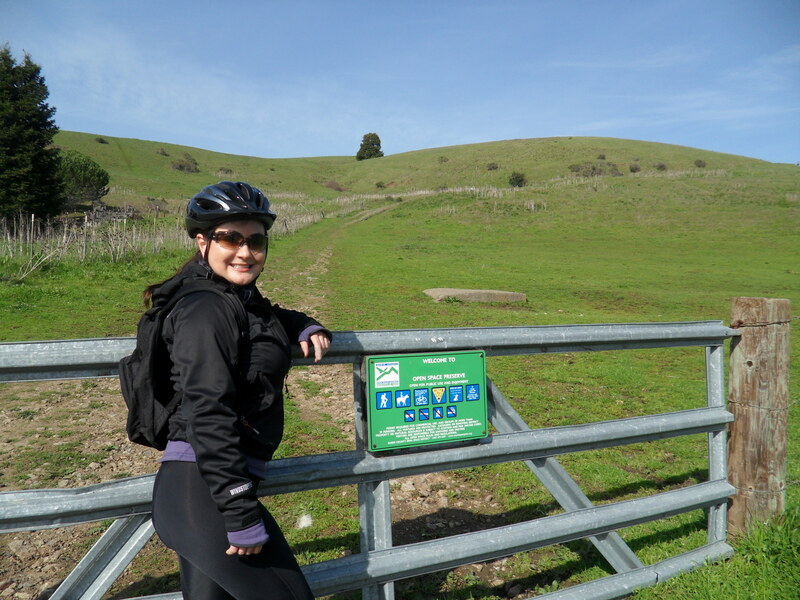 Continue along Lomita Drive past the hill where the local horses graze. 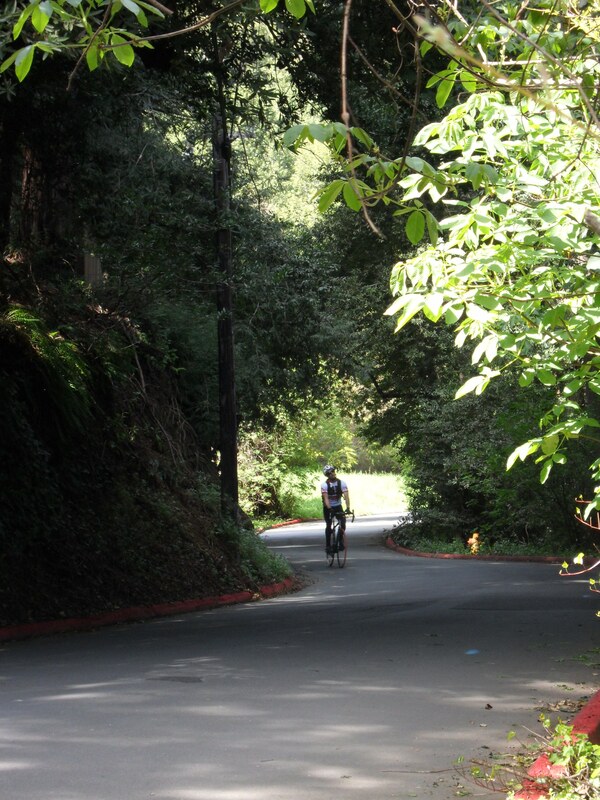 Lomita Drive turns left up a hill to the path that follows along US-101. 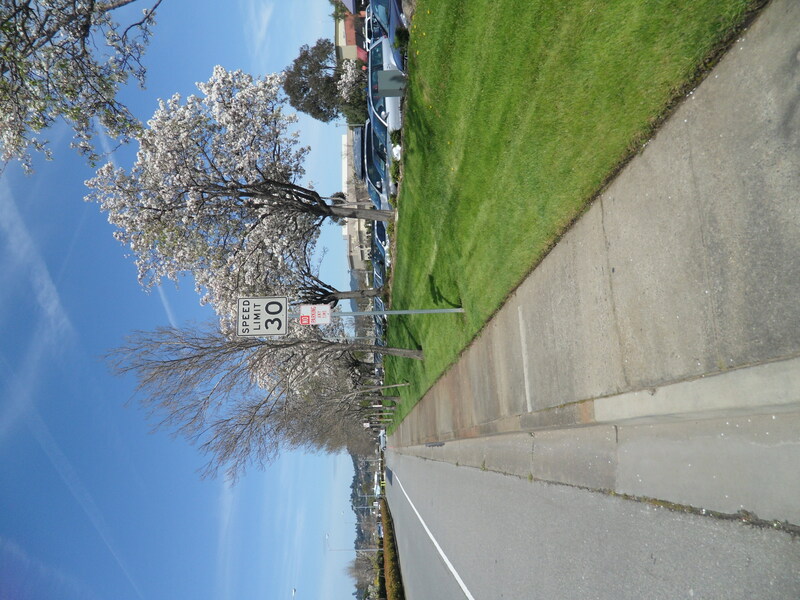 Keep to the left and follow Route 5 to Meadowsweet Drive. 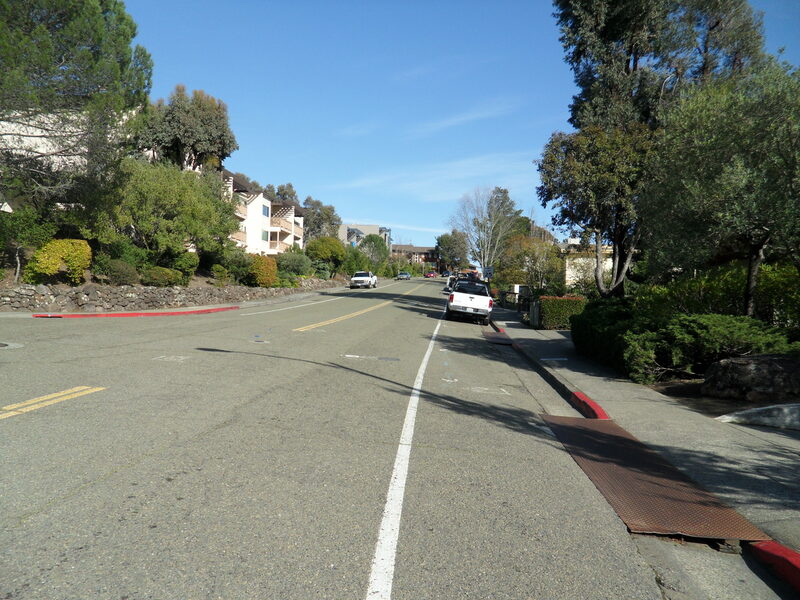 Continue along Meadowsweet Drive as you cruise downhill. 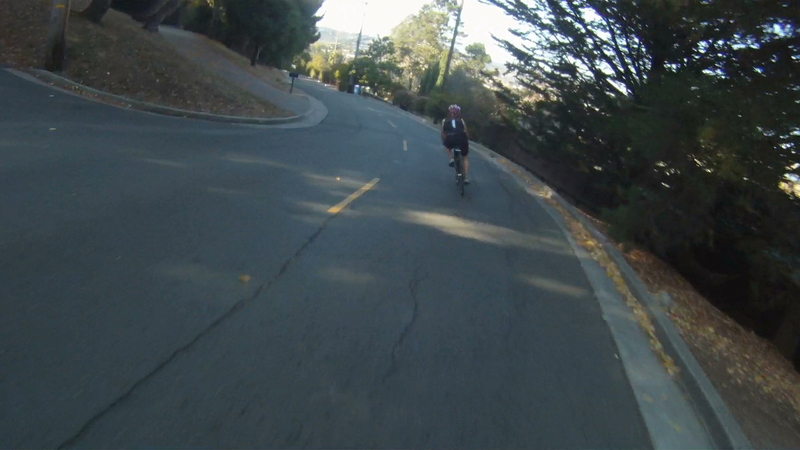 At the “Y” in the road at the bottom of the hill, veer left and continue along Meadowsweet Drive. 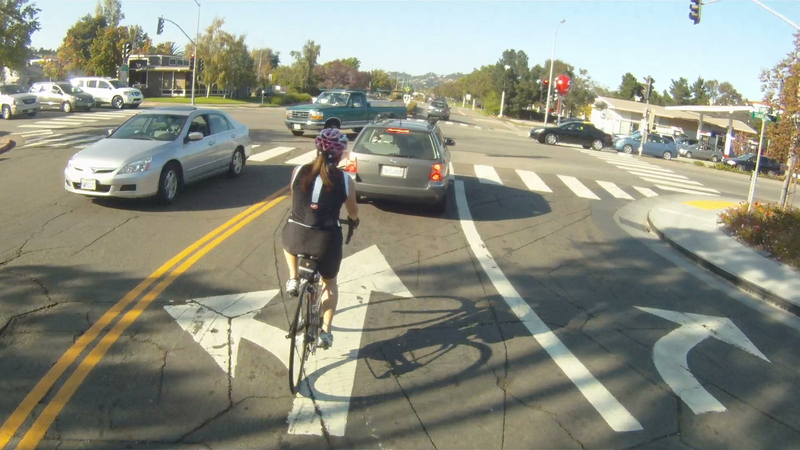 At the next intersection, make a right toward the stop light, continuing along Route 5. 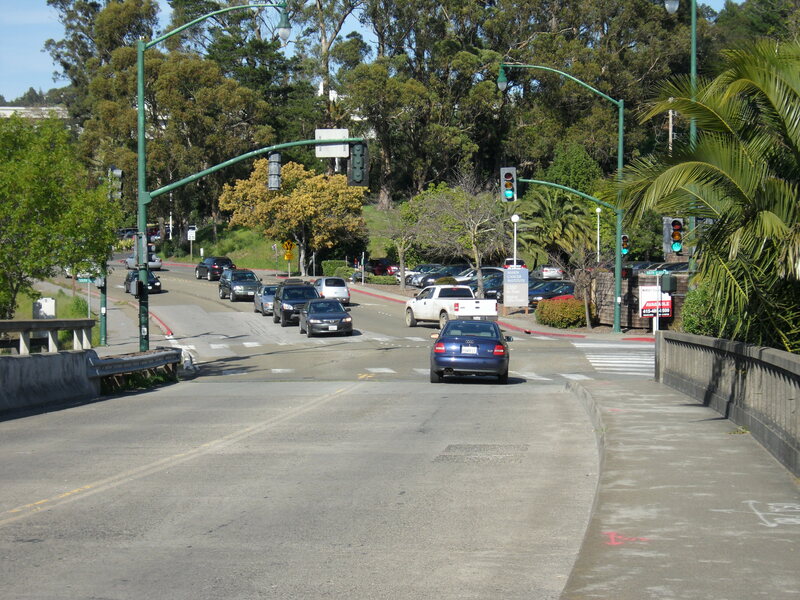 Continue through the light along Madera Boulevard. 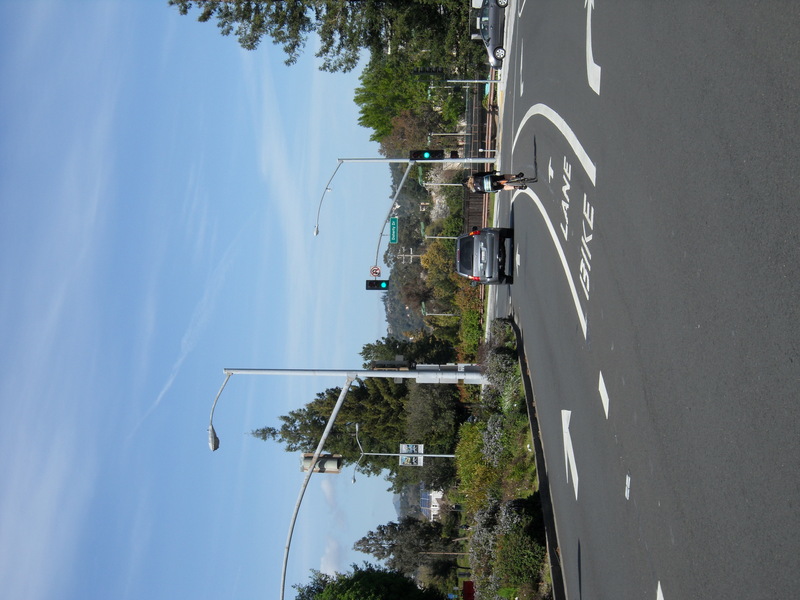 Follow Madera Boulevard until you reach the stoplight at Womum Drive. 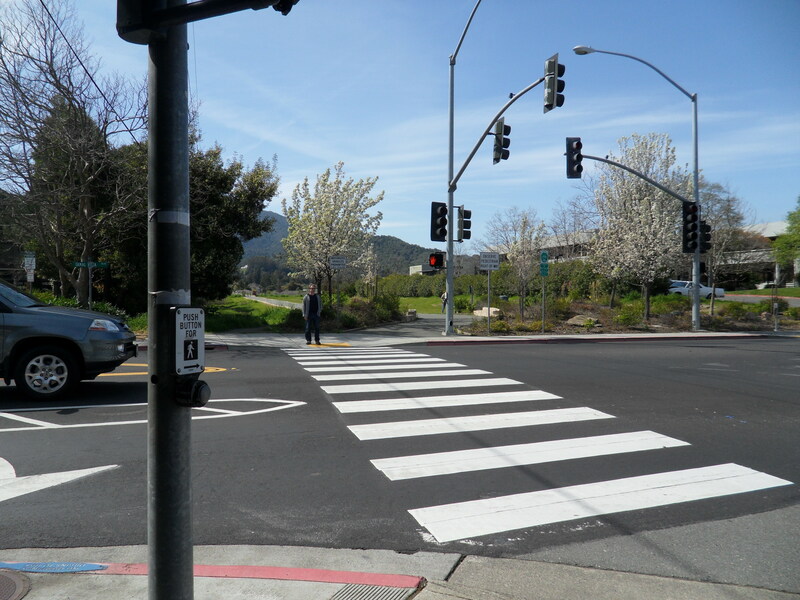 Just before Womum Drive, merge onto the sidewalk to cross Madera Boulevard at the crosswalk. 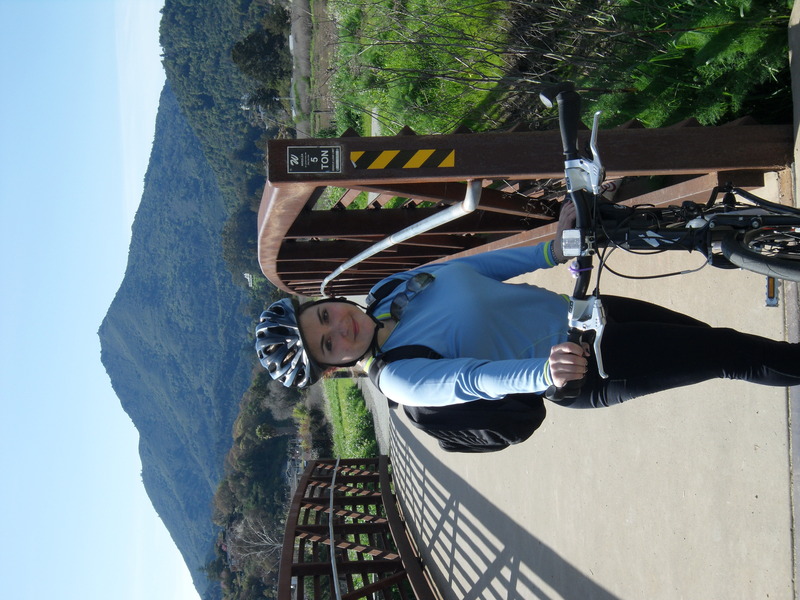 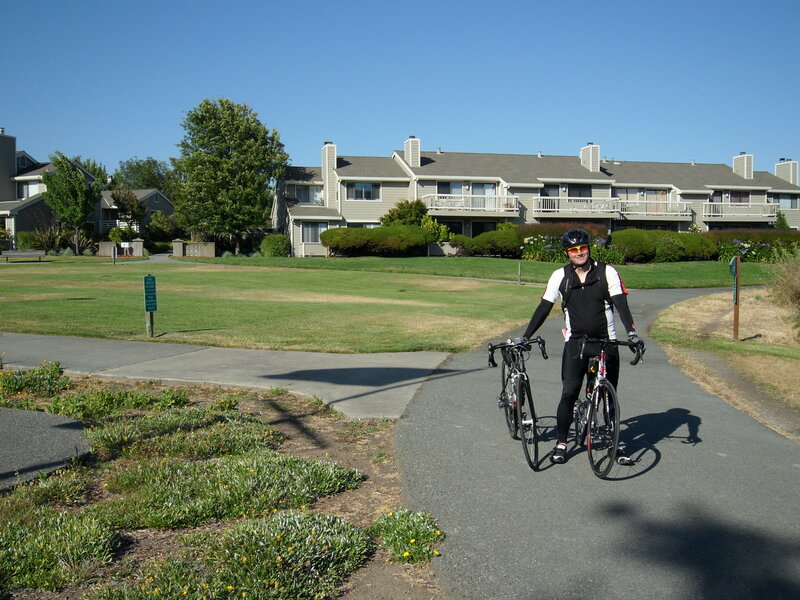 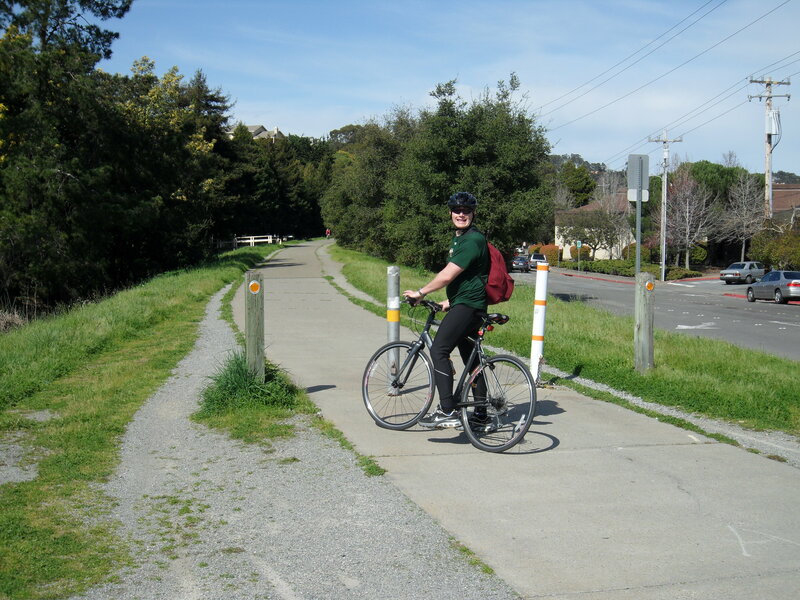 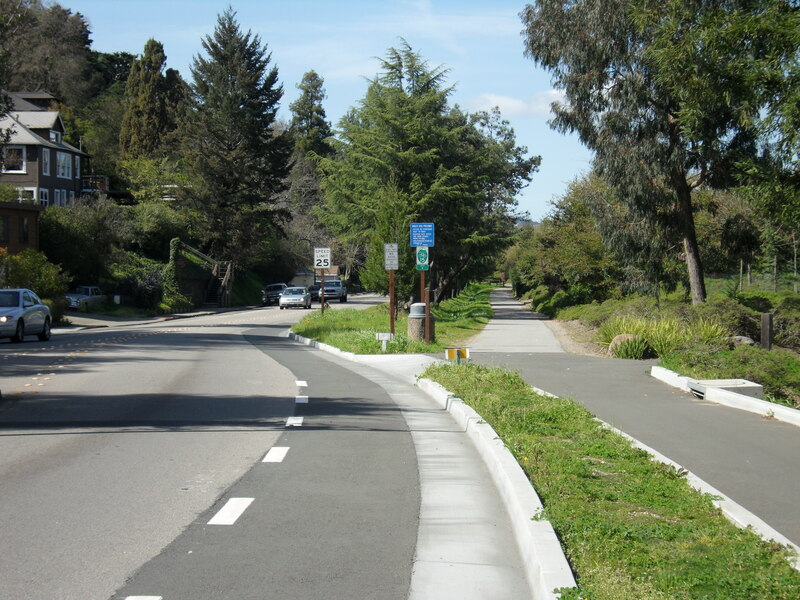 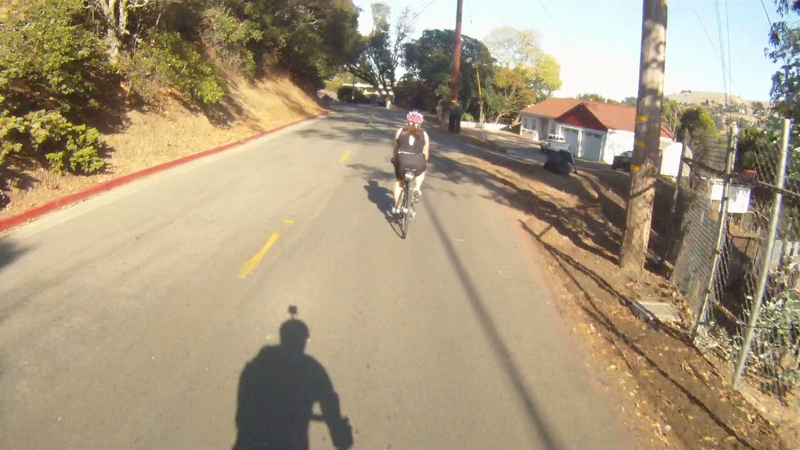 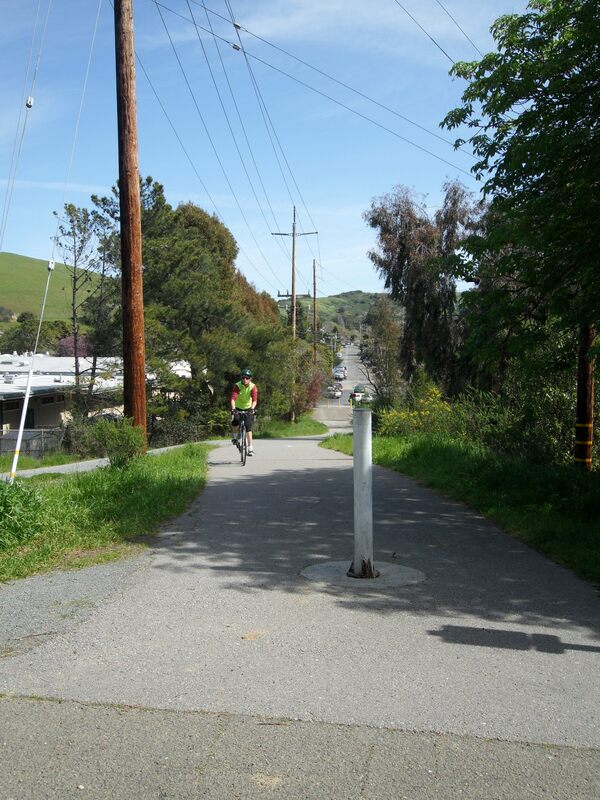 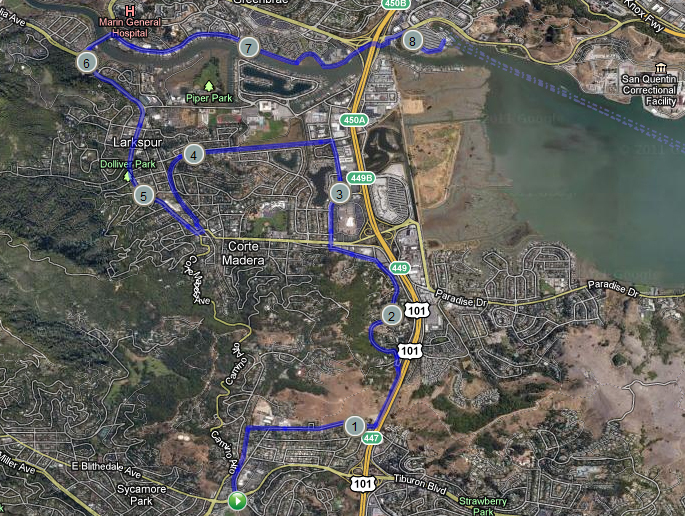 Follow Route 16 along the Larkspur Bike Path until it ends at Montecito Drive. 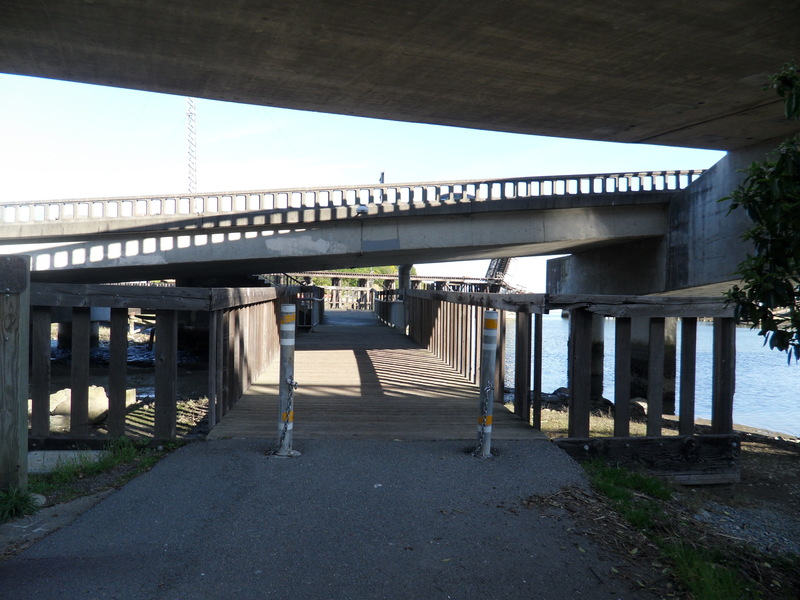 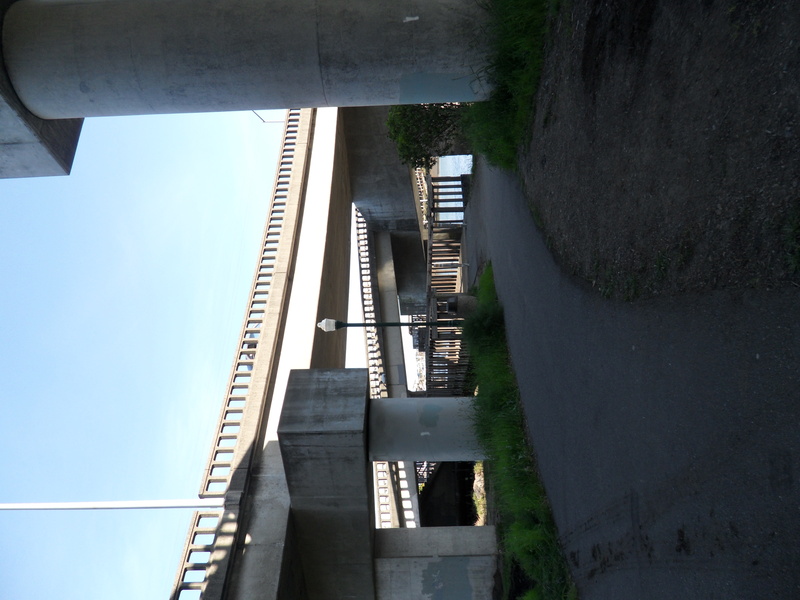 An alternate to the Route 16 bike path is to take the path to the right after the bridge, Route 18, and follow Lucky Drive to the bridge over the channel as seen in The Sharks Fin. 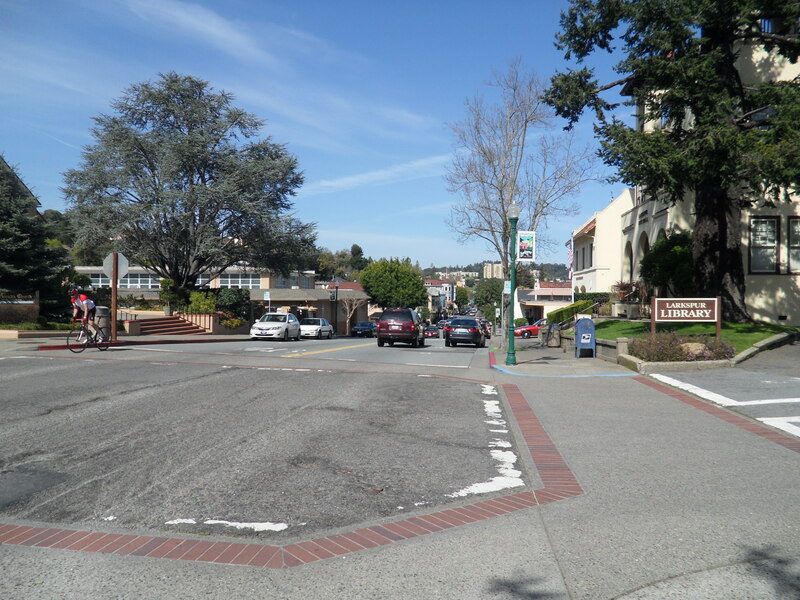 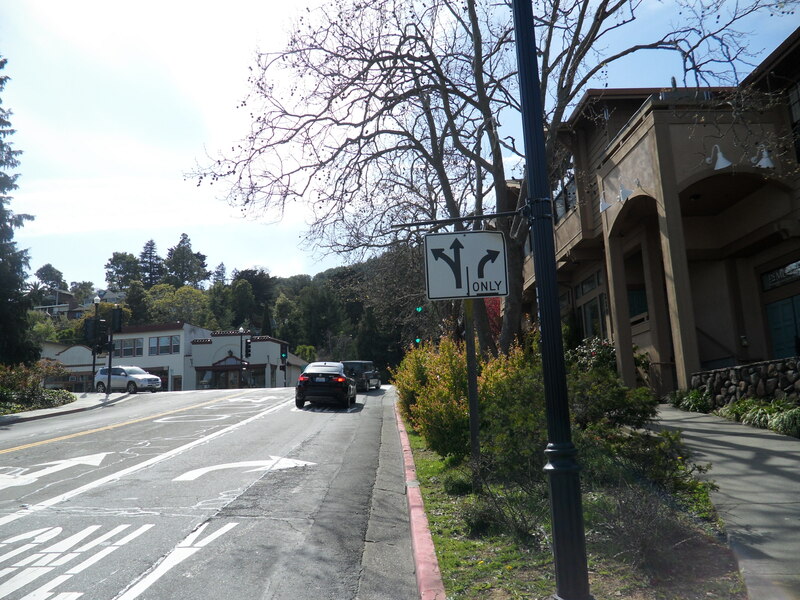 Turn left at Montecito Drive, then make a right at the stop sign onto Tamalpias Drive. 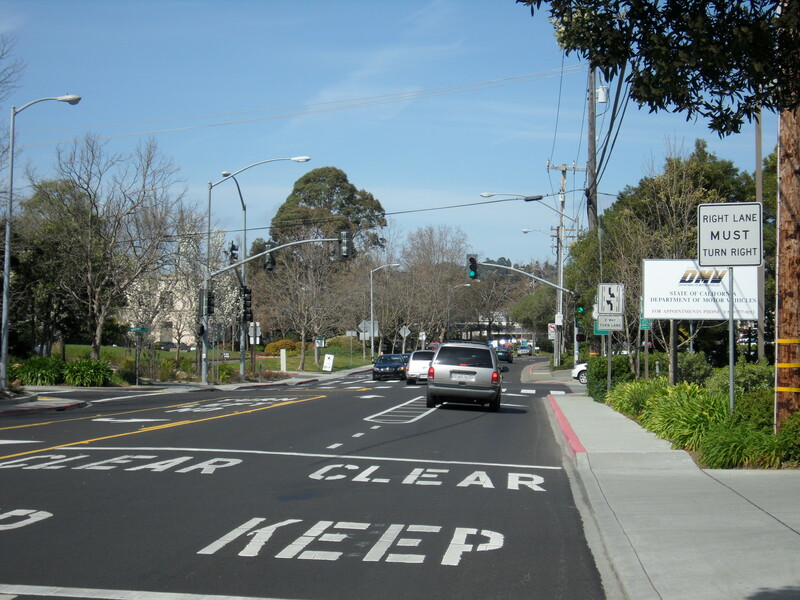 Make another quick right at the light on to Magnolia Avenue and Route 15. 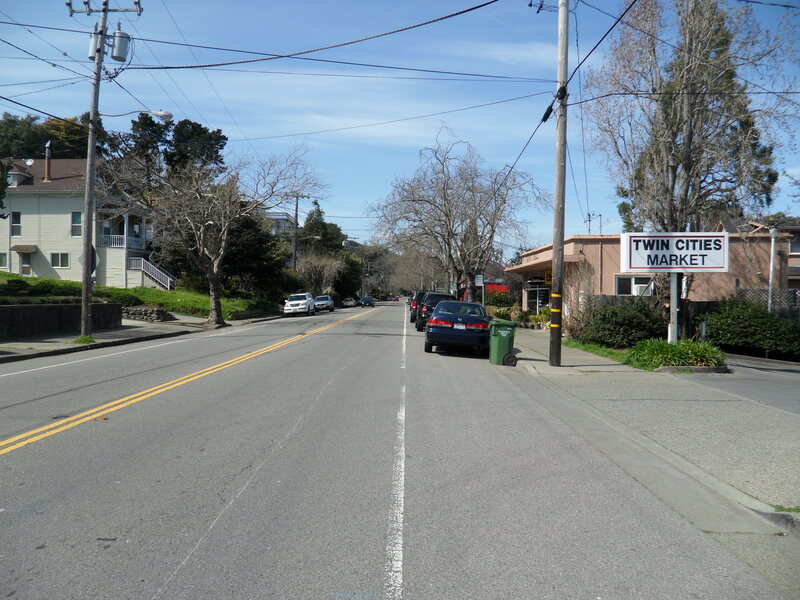 Follow Magnolia Avenue, Route 15 towards Ross, through downtown Larkspur. 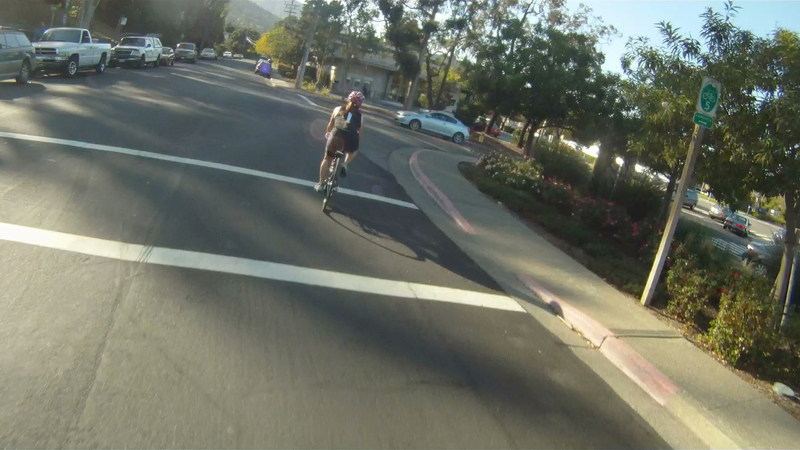 Go through the light at the bottom of he hill and stay towards the center of the lane at the next light staying in the bike lane. 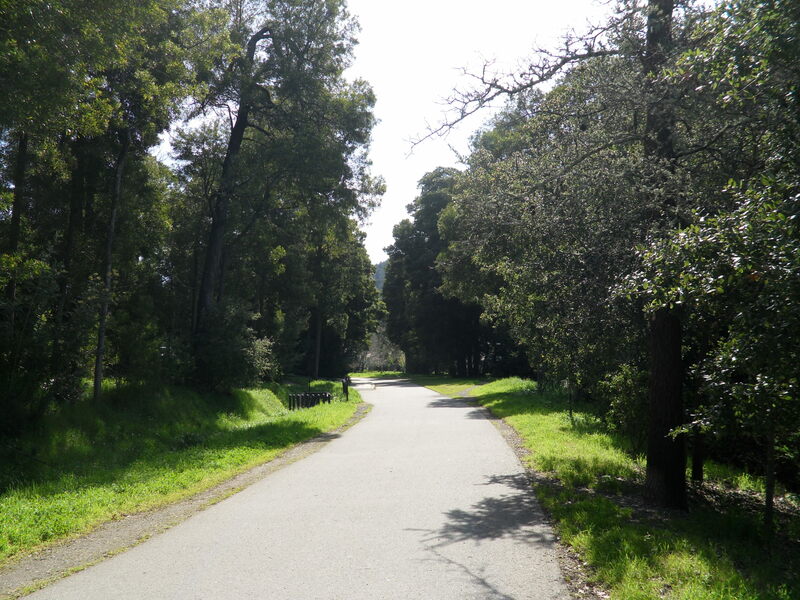 After the light, hop up on to the path on your right. 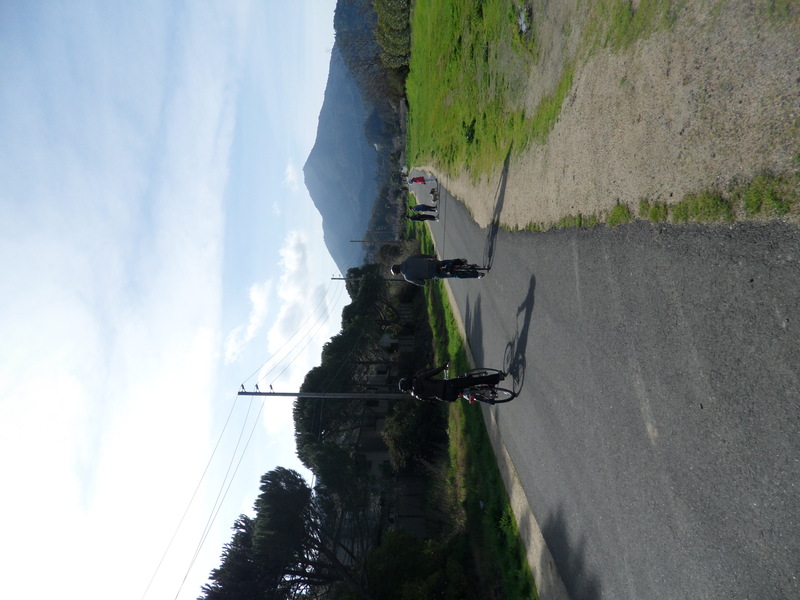 Follow the path until you reach Bon Air Road. 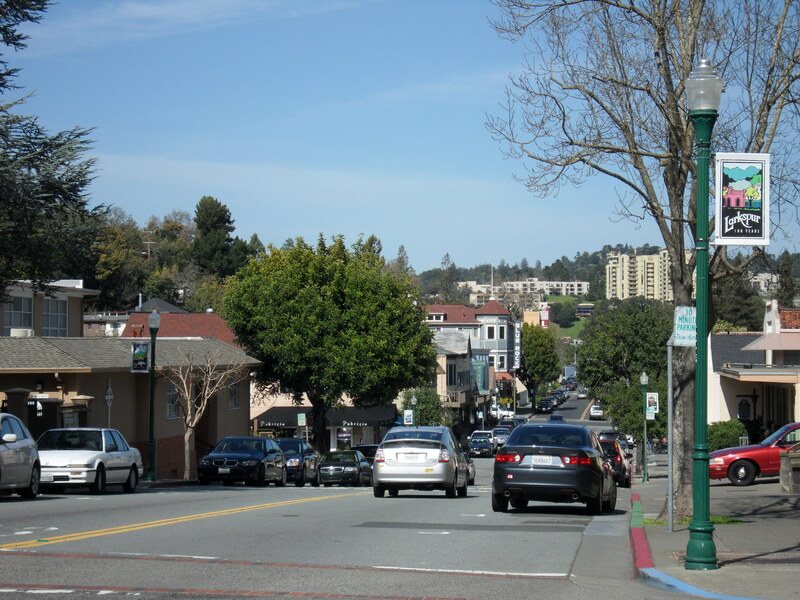 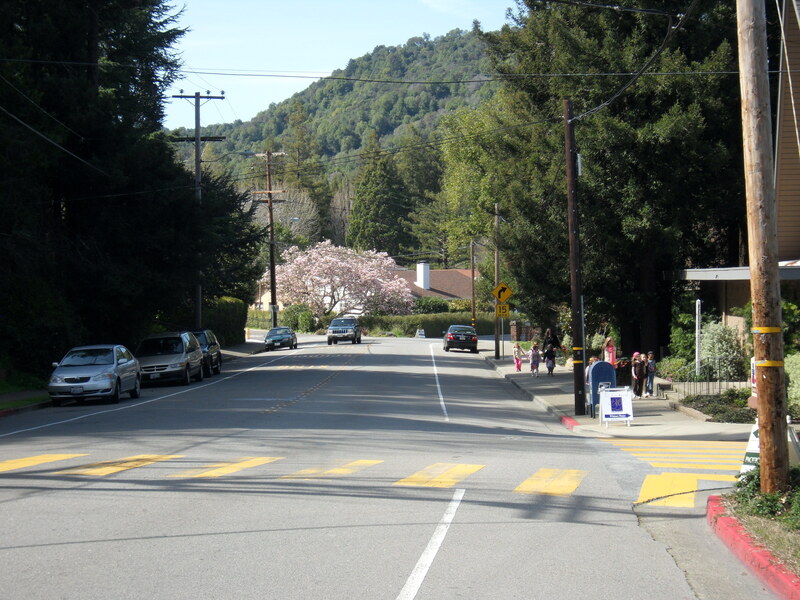 Once you reach Bon Air Road, this is the point where you would continue along Magnolia Avenue to reach San Anselmo, Fairfax and beyond. 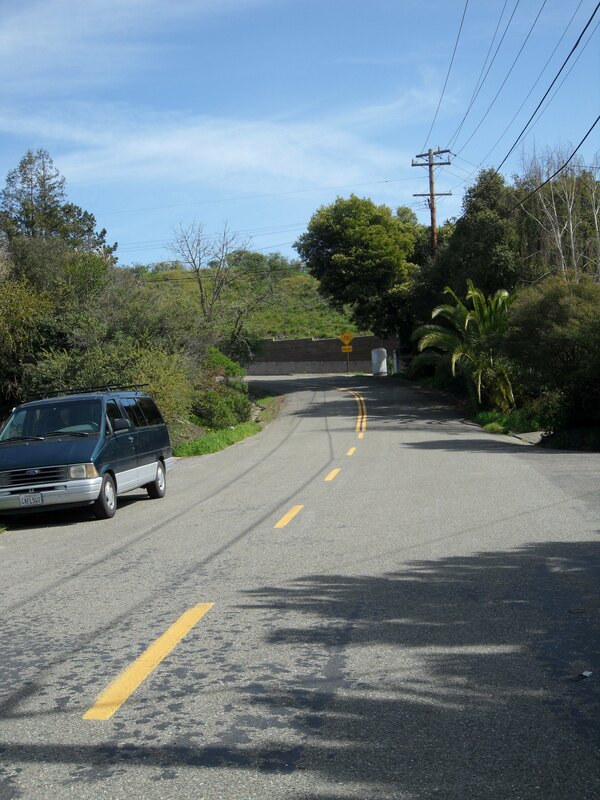 Take a right on Bon Air Road, follow it over the bridge and make a right onto South Eliseo Drive. 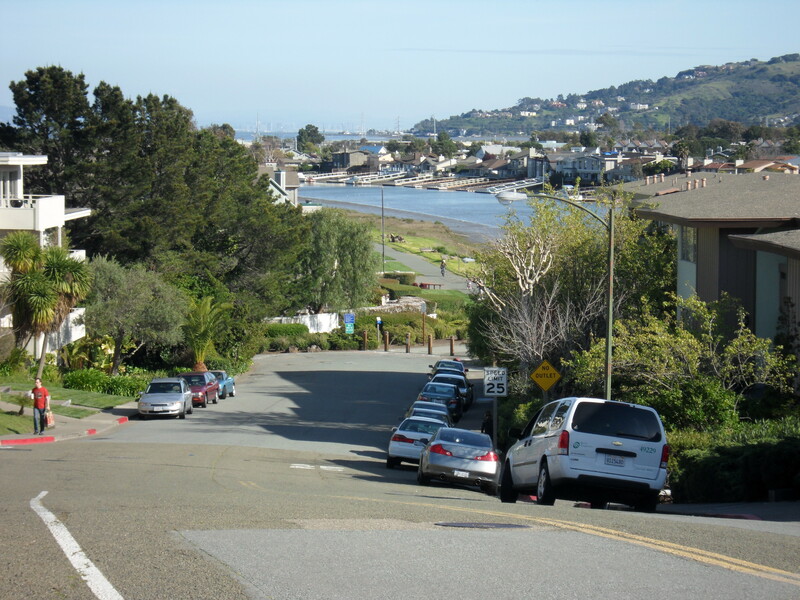 Follow South Eliseo Drive, Route 20, just over a mile, up the hill and down to the bike path along the channel. 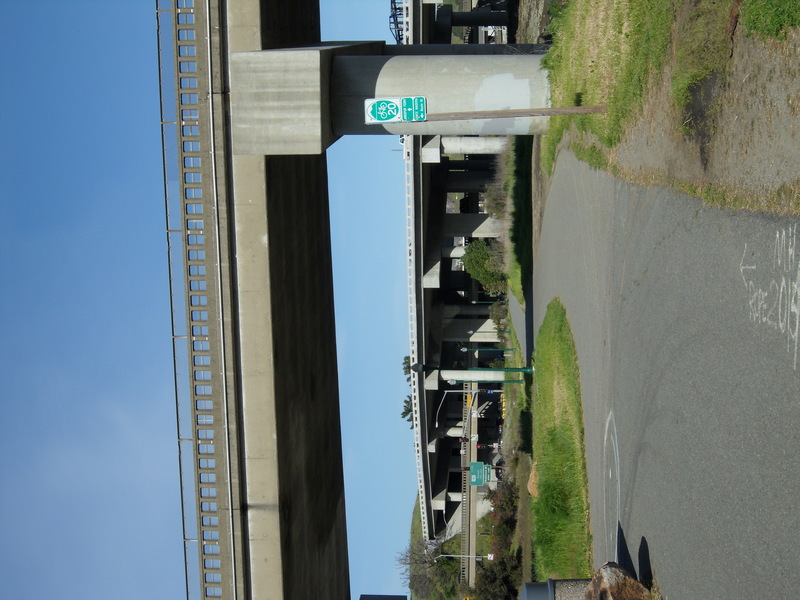 Keep following Route 20 toward the Larkspur Ferry as it winds under the overpass and over the wooden bridge. 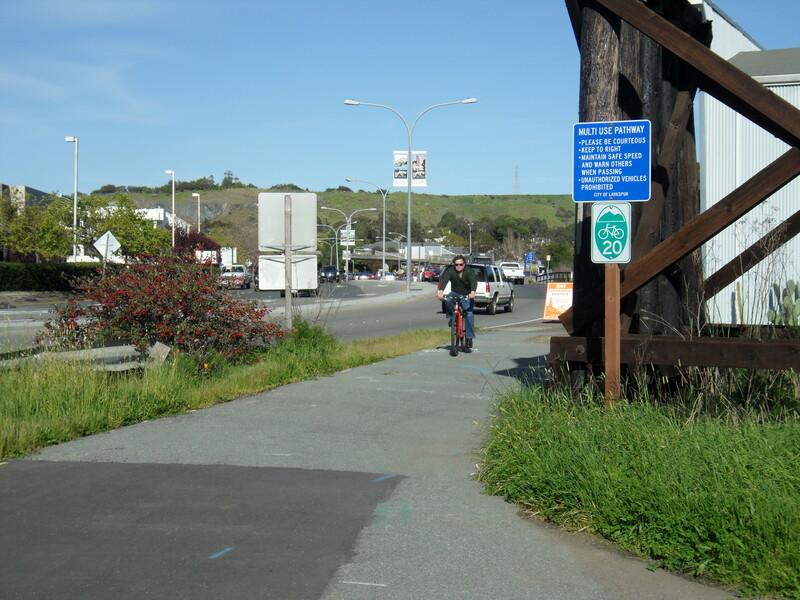 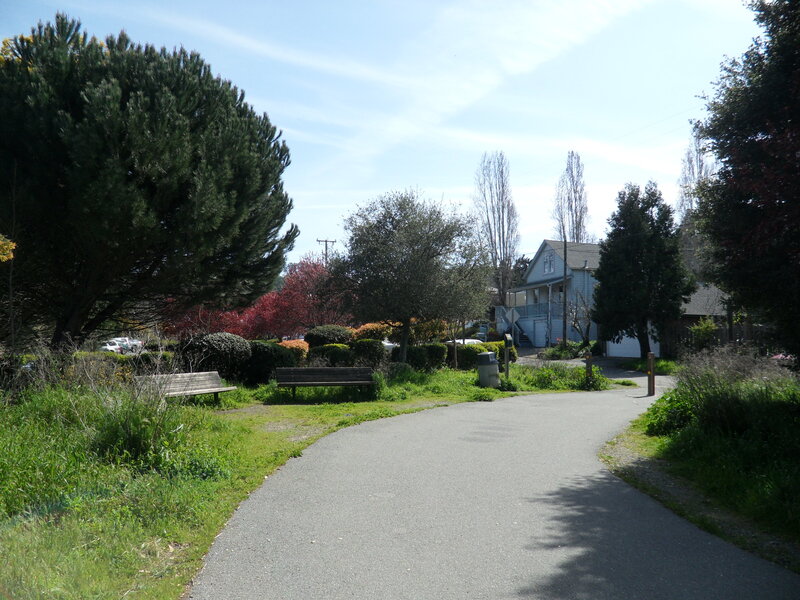 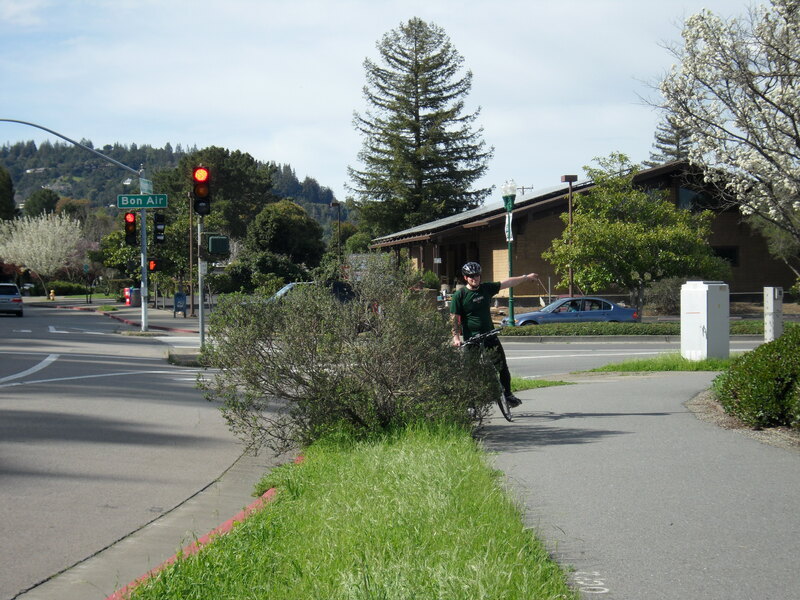 Then follow the path next to Sir Frances Drake Boulevard all the way to the Larkspur Ferry Terminal. 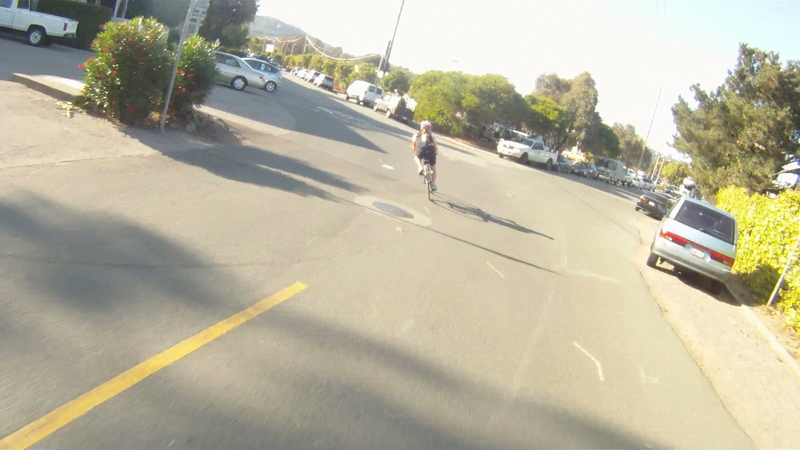 Make a right just before the parking lot entrance. 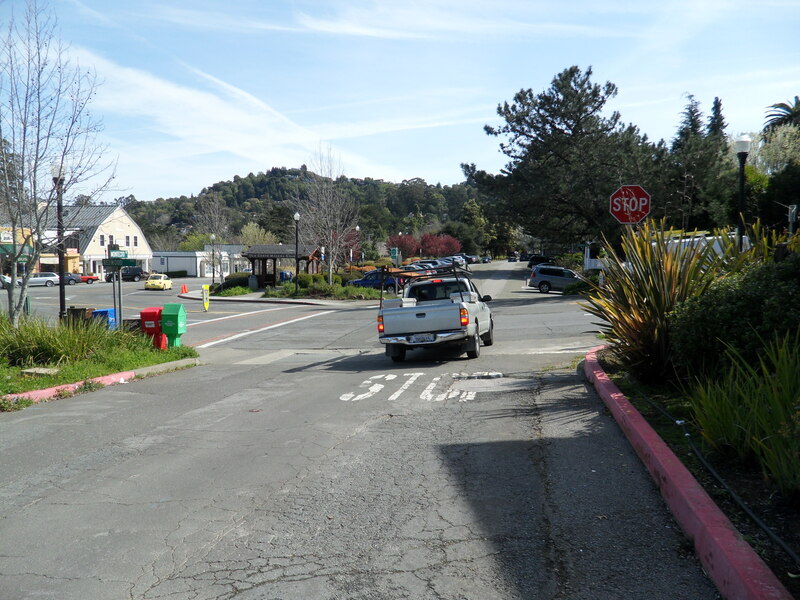 Once you reach the Larkspur Ferry Terminal your journey is complete. 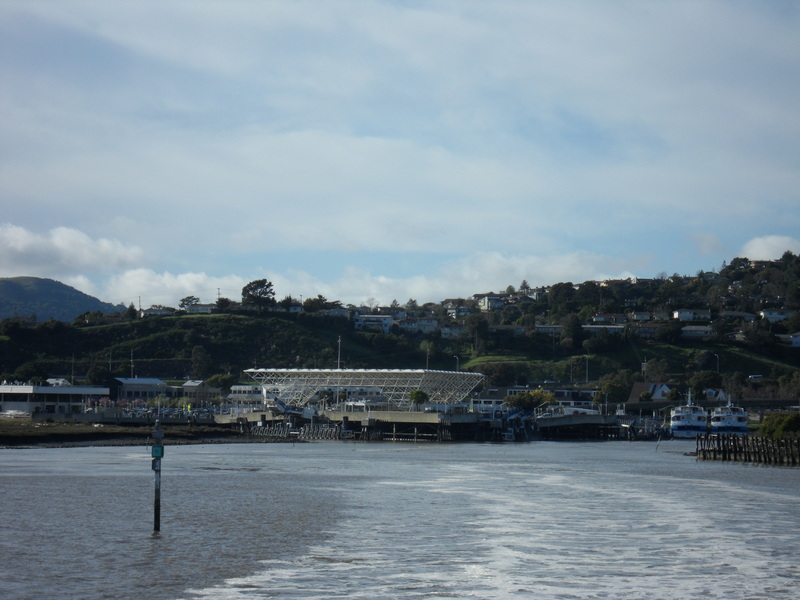 Check the ferry schedule for times, but most of the ferries go directly to the San Francisco Ferry Building, except for the 5:30 p.m. ferry on weekends which stops in Sausailto first. 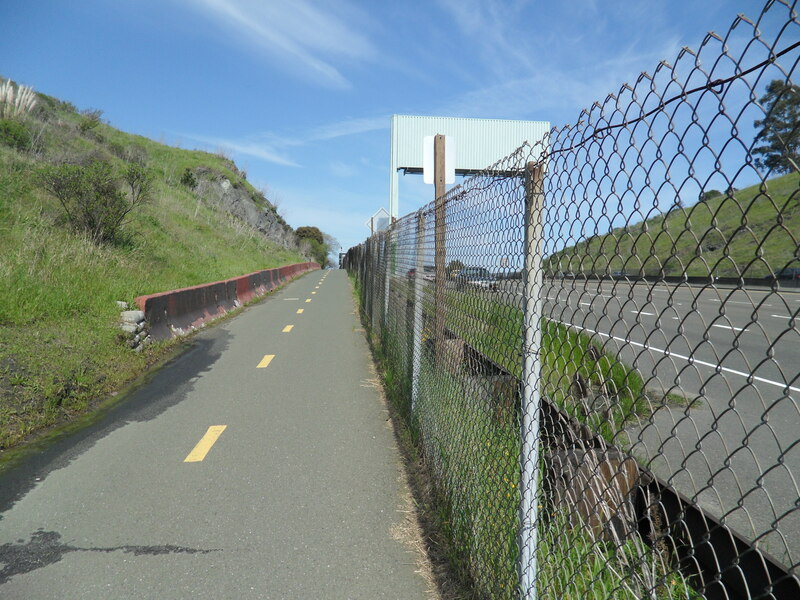 If you are going to take this ferry, make sure to check out The Hat Trick to protect your bike from the heavy comfort bikes of the tourists. 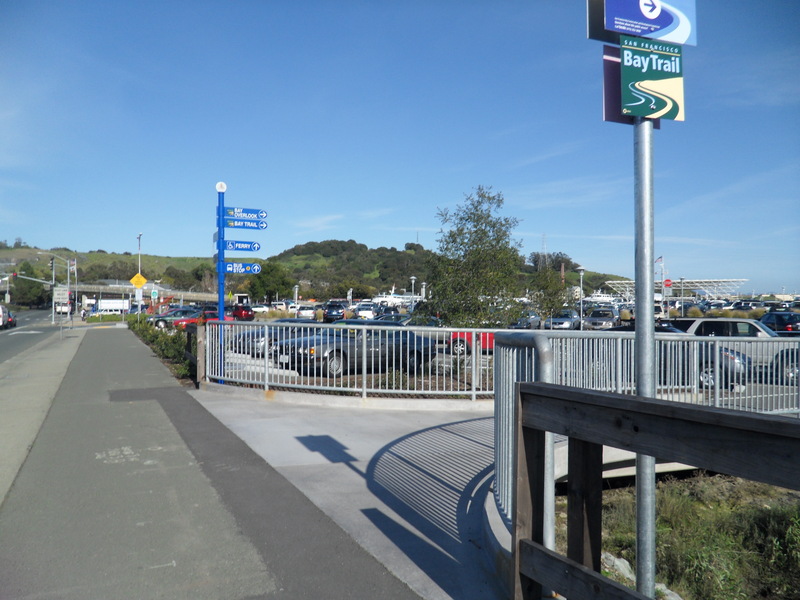 Whether your goal is to have another way of getting back to San Francisco from deeper into Marin, or you just don’t feel like riding back to the city after cycling Paradise Loop, the Larkspur Ferry Terminal adds another option for your return home.